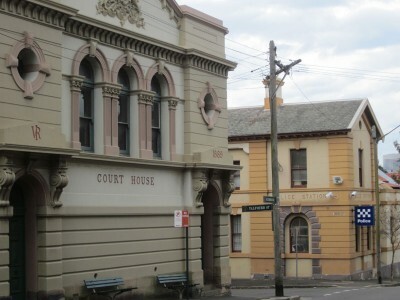 Glebe Post Office (1888), Court House (1889) and Police Station (1882) form a group of interrelated buildings which were all designed by the Colonial Architect’s Branch under the direction of James Barnet, in the Italianate style. Glebe Town Hall, opened in 1880, was the first of a series of major public buildings in St John’s Road that displayed the increasing prosperity and civic pride of the suburb in the 1880s. 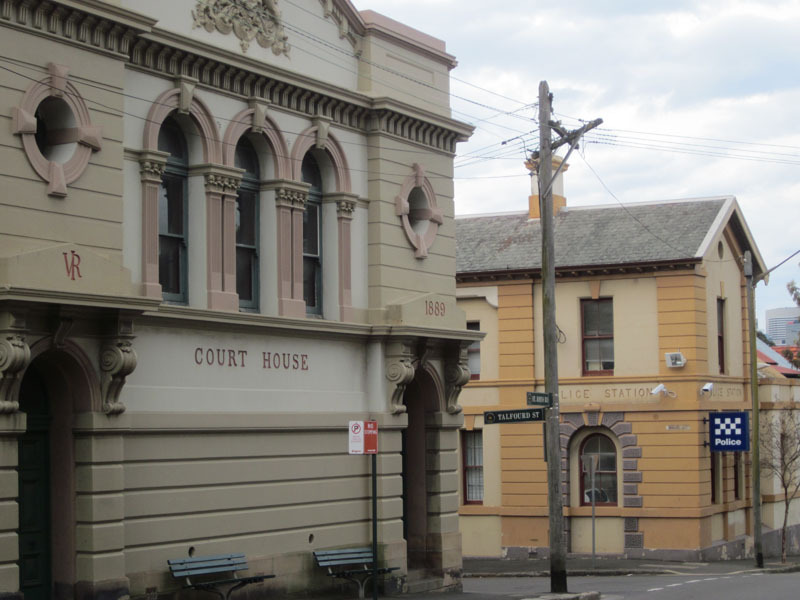 Glebe Post Office (1888), Court House (1889) and Police Station (1882) form a group of interrelated buildings which were all designed by the Colonial Architect’s Branch under the direction of James Barnet, in the Italianate style. They all demonstrate Barnet’s adherence to classical traditions with strong horizontal lines, restraint and sense of decorum. For Barnet, a specific institution and its location informed the design of an appropriate building. The Court House is two storey late Victorian stuccoed building with a coat of arms and slate roof. There is also a small stone cottage of the rear, c1840. The Police Station carries some of the design features of the Court House but is appropriately scaled down. The Post Office also has strong horizontal lines but its Doric columns, loggia and arched windows are used as vertical elements to enliven the main street façade. Barnet was born in Scotland but lived all his Australian years in Glebe (Derwent Street in 1865) and Forest Lodge (Braeside, now demolished – where Officeworks now stands).